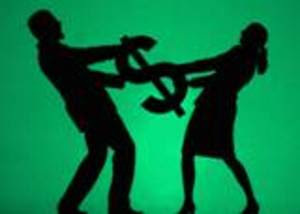 Lately, I have come to realize that finances indeed do have an impact on the relationship between husband and wife. I guess I took these things for granted, and never really thought about such matters. Wake up calls have been coming along quite often in the past few months, though, and I think it's time that we took a look at our finances. I don't know if it's just me, but on paper, we seem to be earning enough. Still, we always find ourselves short on money. It could be a classic case of living beyond one's means. It could also be that we simply don't pay attention. Eliminate power struggles over who makes more money. As the family income increases, everyone benefits. Eliminate arguments over personal spending. If she has to have a $400 blouse, as long as it doesn’t come out of the household account, that’s fine. If he wants the latest tech gadget, it’s no questions asked. Provide built in incentives for both parties to control household spending and communicate over major household purchases. Create a true sense of partnership by leveling the playing field. 1. Create a household account from which all shared expenses will be taken out: rent, utilities, dining out, vacations, etc. 2. Take what's left, divide it in half, and use that as spending money for wife and husband. Whatever they wish to do with that money is up to them - no questions asked. This method will indeed do away with the issue of who is earning more. I wonder if this will work for us? I think we should give it a try.